More than 20 Years of Import, Export, Forwarding and Logistic Experiences and currently is also the Managing Director of RSB Freight Services Sdn Bhd which is the parent company of RSB Inspection & Resources Sdn Bhd. Given the vast experience and contact exposure in the import and export industry, he has provided a strong base and support for further expansion of RSB Inspection & Resources Sdn Bhd. Holder of Bachelor of Science Degree In Mechanical Engineering from Widener University (USA), he had a 15 years experience in plant engineering background. He was a Mechanical Engineer with Alcom Berhad and a Plant Engineer with Aceextrusion Sdn Bhd before joining RSB Inspection & Resources in 2006. 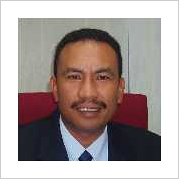 He is also one of the director for RSB Freight Services Sdn Bhd which is the parent company of RSB Inspection & Resources Sdn Bhd. 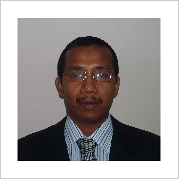 With a strong engineering and technical background, he is very sure can provide value to the organization growth.